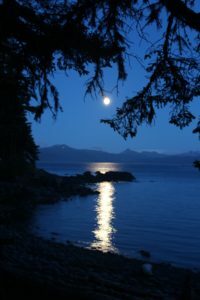 I (Kat) left the island on July 15 after 55 amazing days. 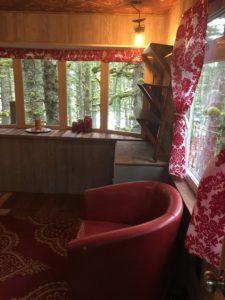 In the two weeks my husband was also there, on leave from work, we managed to install ceilings, paneling, and driftwood rails to the Eagle’s Nest Cabin. 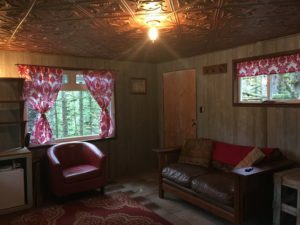 My son Cade and I spent the rest of the summer building cabinets, painting copper ceiling tiles, making curtains, and fashioning decorative trim around and in all the windows of the cabin. 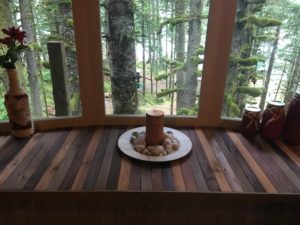 Sadly, the flooring did not arrive in time for us to finish the cabin. This summer, a charter boat captain from a neighboring island came and picked up Mike and Kelly and took them out on a fishing trip. 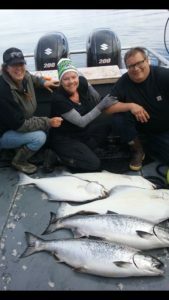 They caught 2 huge kings and 4 halibut. What a great trip! Another set of guests, Adrian and Kristie, took our kayaks out and went around the entire island! I think they wished they had done a little tide research first, but they really enjoyed their trip. Our new 23 foot Hewescraft Sea Runner is a great addition to the island and opens up many possibilities for us. I had to do a Forrest Gump “Shrimpboat Captain” pose… LOL! 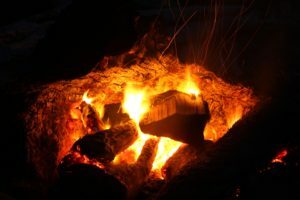 The Sea Otter and Whale Island Cabins are still available to rent. However, I will not be able to help in finding transportation to the island. Please contact Sea Hawk or Island Air to inquire about their rates as they can fly into the cove. There are also options for boating to the cove, but it can be more expensive than flying. You may call, email, or message me on Facebook for more information, but my Feedback form on this site doesn’t send me notifications. 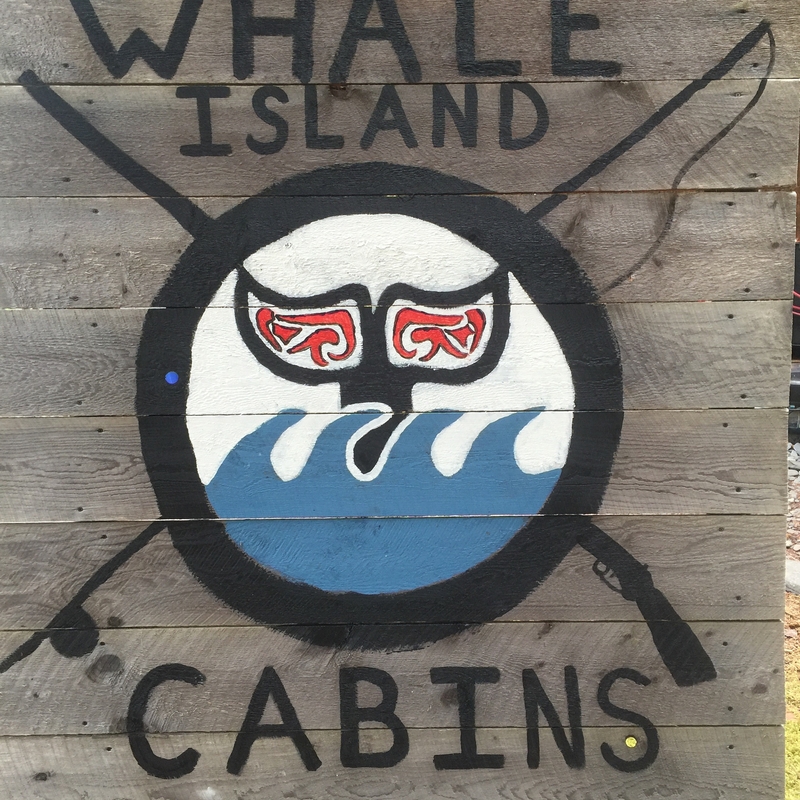 Whale Island Cabins is the refuge you have been looking for.